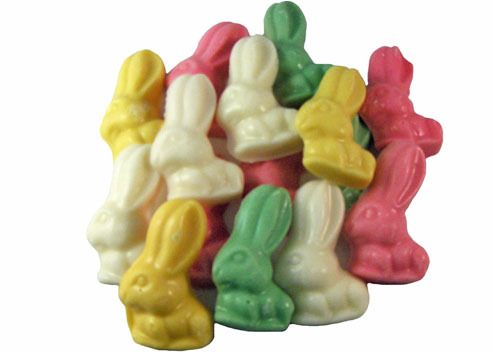 A half pound bag of bunny-shaped pieces in an assortment of pink, yellow, white, and green. The pastel coating tastes like white chocolate. Approx. 28 bunnies per half pound.